Dental implants are an ideal way to replace missing teeth. From the front of your smile, where they are most visible, to the back, where they provide eating stability, implants can help you reclaim a beautiful and healthy smile. 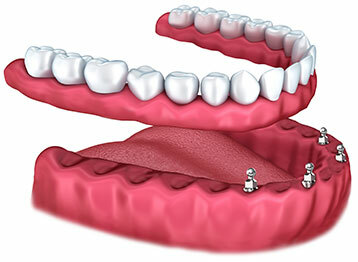 Unlike bridges or removable dentures, which rest on top of the gums, dental implants are placed beneath the gums. The “tooth” placed on an implant appears real, because it comes through the gums just like the original did – it’s like growing a new tooth! Implants can replace any number of lost teeth. Even those without teeth can benefit from implants, because they can replace their dentures with teeth that don’t move around while talking and don’t need to be removed for sleeping. Since we handle the entire process from implant placement to crown fabrication, there’s no need for a referral to another office. 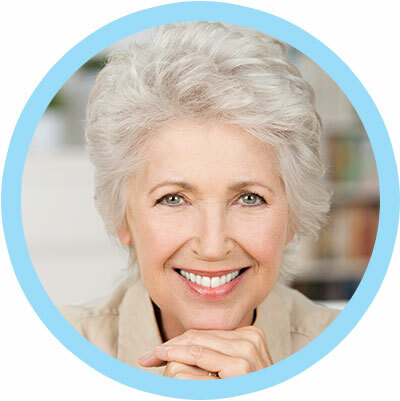 Overdentures – Say Goodbye to Messy Denture Adhesives! Denture wearers will tell you that the worst part is having their teeth slip, tilt, or slide while eating. They need to use denture adhesive in an attempt to keep their teeth from moving around. This is a major irritant for them. But now, at Bensonhurst Smiles, we offer our denture patients an alternative called overdentures. Using just a few dental implants to support the dentures, your teeth will be securely locked into place. Yet they easily snap off for cleaning. No more messy creams! Call today to find out if you are a candidate for overdentures. Do you wearing dentures because you were told you couldn’t get implants due to insufficient bone density? Do your dentures move around, and you would prefer to have the strength and stability of implants? You will be happy to know of a breakthrough called mini implants. Mini implants securely anchor dentures in place, eliminating slippage and trapped food. They are placed in only one visit and are virtually painless. Patients can look forward to eating the same day they receive them. They can often even be placed where regular implants cannot, so it’s possible you can receive the benefits of mini implants even if you are not a candidate for regular implants. Don’t live with missing teeth any longer! Call (718) 232-4044 for a no-obligation implant consultation today to determine your suitability for dental implants.